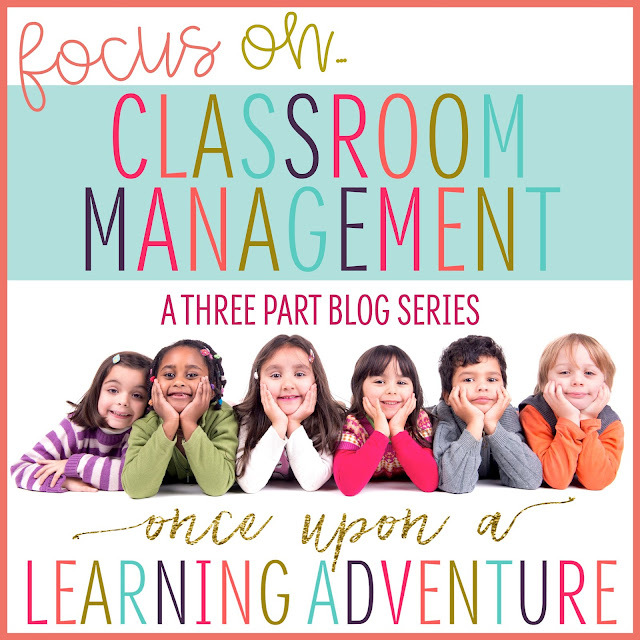 Thanks for joining me for this second part in my three-part focus on Classroom Management! If you missed my first post, please check out Part One: The Wheel of Choice. 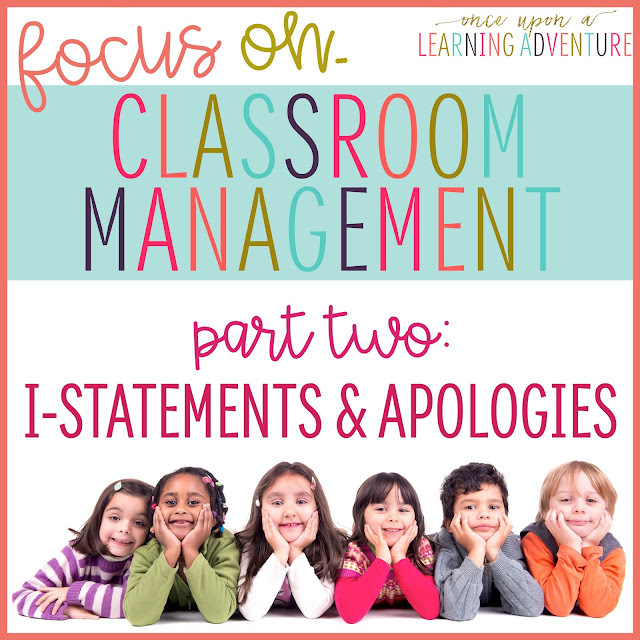 Today we'll be talking about Part Two: I-Statements and Apologies. As a teacher who likes LOVES to talk, it is sometimes hard for me to imagine that children sometimes do not know the words to say in certain situations. And, let's face it, even as an adult, telling someone how you feel or giving an honest apology can be a truly difficult task. 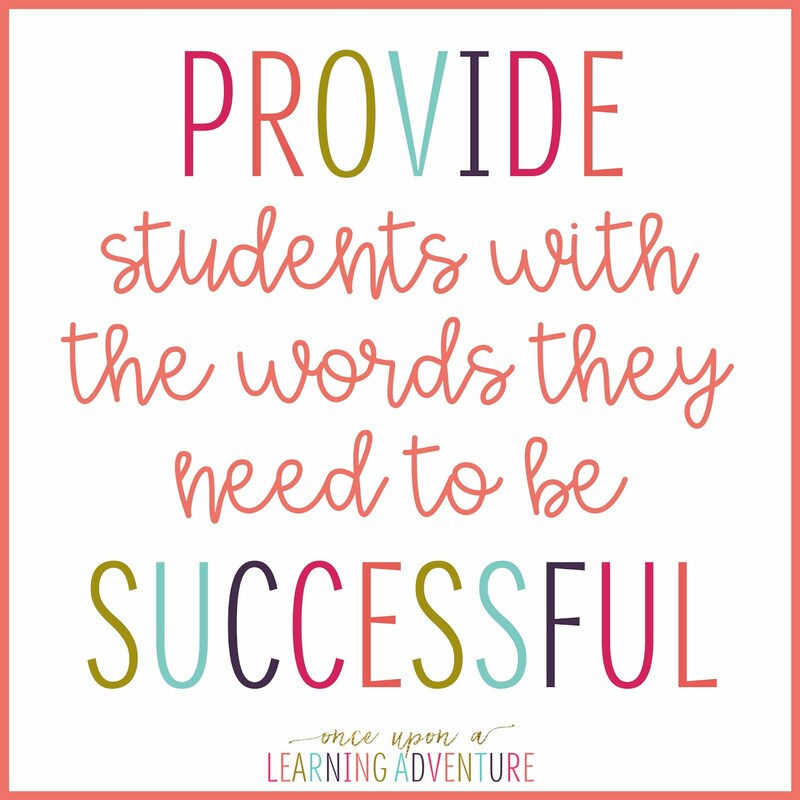 To help my students in these tricky situations, I try to set my students up for success by giving them the words that they need in order to talk respectfully with their peers during problem-solving situations. Simply modeling and giving my students the framework for positive speech has made all the difference in the world in my classroom! To introduce the ideas of giving I-Statements, I love to have my students role-play situations in which they are not getting along with a peer. We talk about what things friends sometimes say in those types of situations, and we talk about how hurtful friends' words can be when they are angry or upset. Then, we practice giving I-Statements for various imaginary situations using the sentence frame, "I feel ___ when you ___. Please ___." As for Apologies, we talk about the difference between sincere apologies and insincere apologies. We talk about how it feels when someone just says, "Sorry," and walks away. Then, we talk about how important it is to give Apologies of Action where we not only say we're sorry, but we also show we're sorry by offering to make a change or to help the friend we've upset. We then role-play and practice using the sentence frame, "I am sorry for ___. Next time I will ___. How can I help you feel better?" 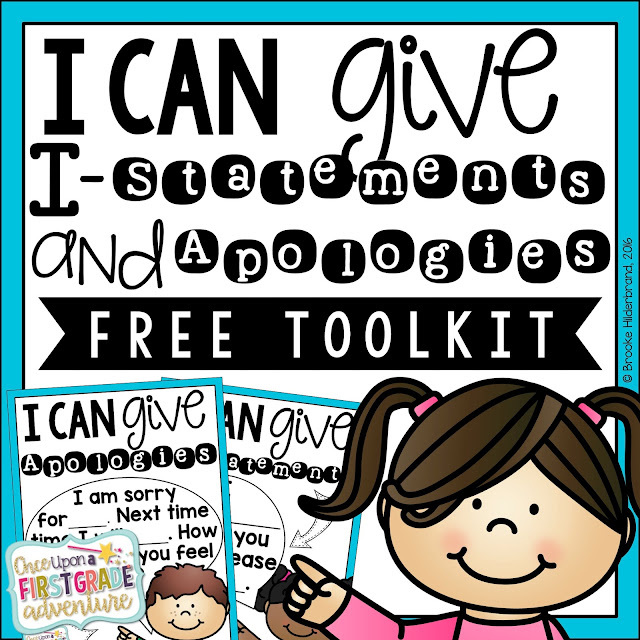 If you'd like to download the I-Statements and Apologies Sentence Frames for FREE, simply click the picture above to be directed to my TeachersPayTeachers Store. Thanks for visiting, and I'll see you next time for Part Three: Cool Down and Reflect. Must say you’re doing a great job! It’s necessary to teach students to be polite and express their feeling respectfully. Into my opinion, it’s important to teach your students to respect feelings that others may have. Thus, saying sorry is often tot easy for adults. It’s great that you help your kids to learn new words and teach them how to behave in complicated situations. You can also tell them about federal resume writers as this service can be very useful for many of them! You know, I am absolutely sure that such an initiative will allow pupils to organize themselves much better and faster. Very interesting solution to this issue. By the way, may you recommend me the best resume writing services, cuz I am looking for a new job, that is why it is an interesting for me. I like the creativity when it comes to teaching little children. More creative you get with them - more you can really teach them and more they would want to learn from you. thank you for posting! Teacher Tools and Sparkly Jewels Giveaway!